As the name suggests, The Women’s Study Bible is a study Bible that beautifully addresses the issues we face as mothers, sisters, aunts, wives and friends, and helps explore Scripture with greater understanding of God’s love and care for women. It includes special features embedded throughout that will expand your understanding of the role women play in God’s great story. You’ll find hundreds of expert references, charts, articles, and biographical portraits to make reading Scripture a joy. 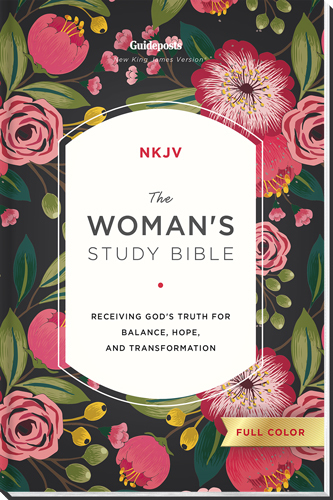 Not only does this Bible highlight God’s high esteem for women, it will uplift you in celebration of womanhood and fortify your spirit in His truth.